Who knew people had so many feelings about a product for pups? Furry friends, rejoice! We've discovered a must-have toy that you can get right on Amazon. Who's a good boy?! You. And you deserve this toy. I have an 80 pound golden retriever — and he can really tear into toys like it's nobody's business. 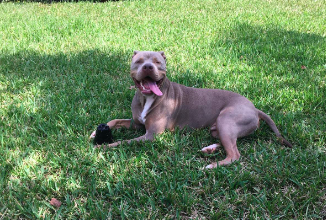 However he, and thousands of dogs all over the country, can't destroy this Kong Extreme Dog Toy. Don't be fooled by its appearance — this toy is about to change your life. 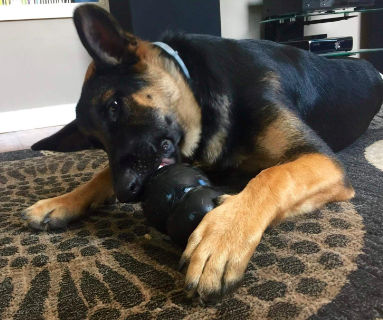 The Kong Extreme Dog Toy has multiple services. It can be used as a safe and reliable way to play fetch or you can fill it snacks and get a moment of peace. Plus, it helps clean your dog's teeth and soothes their gums. 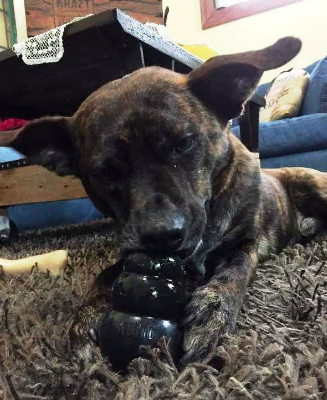 From peanut butter to kibble, the toy can also be filled with your pup's favorite treats to take playtime to the next level. 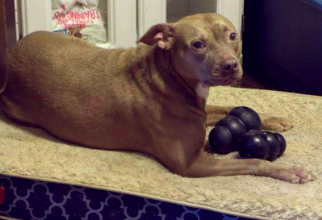 The toy comes in sizes small, medium, or extra large, making it perfect for fur babies of all sizes. And I'm not the only one that's impressed with this creation. 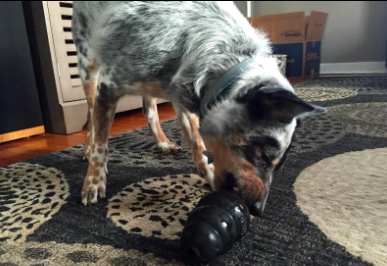 4,511 Amazon customers have taken the time to give the Kong Extreme Dog Toy a 5-star review! 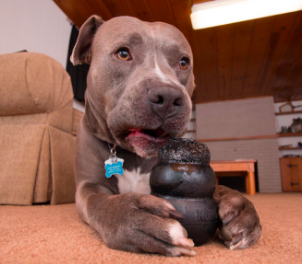 Customers rave about how indestructible the Kong is — specifically with big dogs who usually destroy toys within minutes. They also love the way it distracts dogs and helps ease their separation issues. 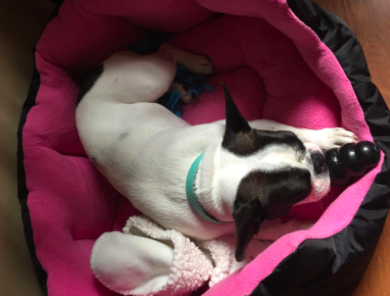 After filling the toy with a snack, pet owners feel that they can leave their pups unsupervised while they take care of other things around the house. 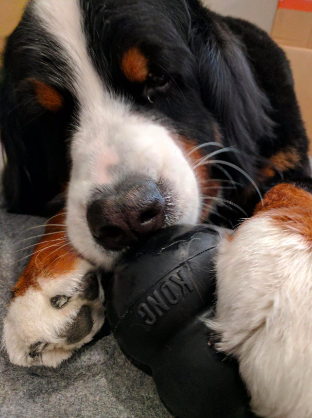 You can get the Kong Extreme Dog Toy on Amazon for just $8.47+ (available in three sizes) and start having (more) endless hours of fun with your dog now!